2ne1 just released a new single entitled I Love You and you can’t just imagine what lengths I did just to make sure I get a copy of the song at exactly 12 MN KST. Yes, I signed up for a paid Soribada account and this is the first time I actually did something like this. Anyway, I’m digressing. Back to the song. When YG released the series of audio teasers for I Love You, I had a hard time figuring out how the song will turn out because the three teasers sounded like three different songs. And I wasn’t wrong about that. I didn’t like the song when I first played it. I thought it sounded disjointed and there was hardly continuity. You are welcomed by CL telling you “Love is the only way”, then a reggae-ish exchange between CL and Minzy at 0:07, then a change to the electronic repetitive “I love You” and series of verses at 0:36, then back to the reggae-ish feel at 2:46 then electronica to the max at 3:19. I thought I was hearing four songs that were chopped at random parts and were glued together to make the final I Love You product. Several repeats after… It’s a totally different story. When I thought I couldn’t put the song on repeat, now I am so addicted. I don’t know what’s in this song that makes me want to play over and over again! Is it the beat? Is it the loopy verses? I just can’t pinpoint it. Teddy and Lydia has a done a good job of creating a song that is not entirely ground breaking but enough to make people addicted to it and love it—the very requirements of a smash hit. I love the music videos that YG is producing lately, more importantly their quality. One thing I hate about the current Kpop scene is how idol songs and music videos (MV) have turned into one repetitive cycle. YG is no exception to this. However, I am glad that they have not succumbed to dishing out low quality music videos just to say that their songs have accompanying MVs. I appreciate it a when a company exerts an effort to construct a story for an MV and not just let the singers dance in a box, shoot them, and that’s it. If their going to do so, then they have to make sure the sets and clothes are going to catchy and flashy enough and the video is shot in super HD to engage the viewer up to the last second of the video. Anyway, I am digressing again. Going back to YG, they have a combination of MV with story/flowing MV and with MV’s in a box. Nonetheless, their videos are always an eye candy and I can’t help but go O___O. They have also ventured into producing animated videos which are such a good breather for viewers once in a while. This video just came out today but holly molly, it just became one of my favorite videos. Aside from Gummy’s usual amazing voice, there is an excellent use of visual elements in this video. True to that saying, I think Ugly is the best song in the album and it definitely deserves to be the title song. I’m glad my wish from my previous review came true. For that, you have again my respect, YG. Ugly has everything: the clean production of Don’t Cry, the emotion of Lonely, the energy of I am the Best, and the subtlety of Hate You. What more could I ask for? 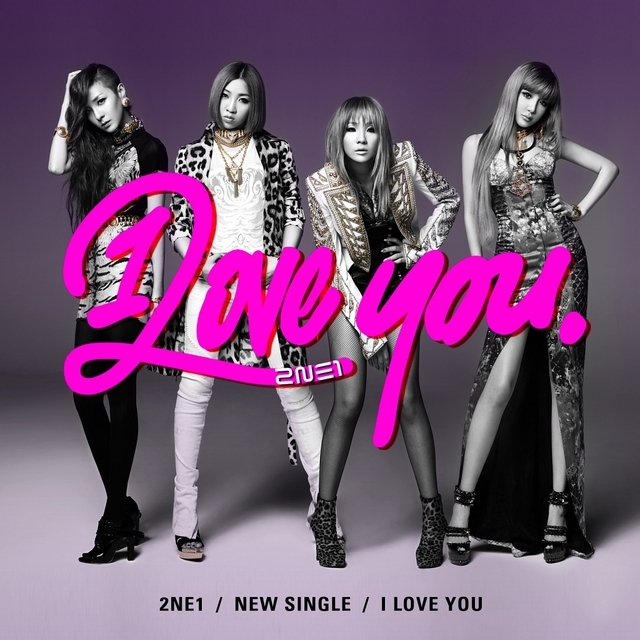 The musical style employed in the song is a first from 2NE1 and it’s again very refreshing. I want to hear more rock-inspired songs from them the girls and I can see them doing this for a long time. YG is definitely gaining reign in producing songs of such style (Ugly, and Big bang’s Love Song). At first, I thought the song was a ballad but the introduction of the drum beats and snares changed all that. The song is arranged interestingly in a way that the peak has been focused solely in the chorus. It works well for the song and most importantly to the message the song is conveying. It’s worthy to note how the vibe of the song is very the different from the atmosphere of the lyrics. At first look, the lyrics are very negative and a listener might think the singer is wallowing in self pity. Interestingly, the singer does not redeem herself in anyway effectively sealing the message of being comfortable of one’s true skin. You saw this coming. Or maybe not. I was debating on whether I should post a review of the song but since I already reviewed the initial releases for 2NE1’s 2nd mini album, I might as well go until the end. When I heard the teaser for Hate You I was excited because the chorus was upbeat, funky and less eccentric then I am the Best. However, when I heard the whole song, I was a bit disappointed. The melody is very repetitive and it’s again very CL-centered. I have to say sorry to CL fans but I don’ think she already has the capability to make an entire chorus interesting. I agree that out of the four members, she has the most versatile voice, but her voice doesn’t have the timbre of Bom or Minzy’s that can make a chorus more soothing to the ears. It also doesn’t help that she sounds “squeaky” again, something I haven’t observed since Lonely and I am the Best. Lyrics wise, I have no qualms. It’s pretty decent. However, the great impact which it could deliver was diminished by the very melody of the song. As I have mentioned earlier, it’s very repetitive and monotonous. For once, YG did not compose a “pleasing” loop. The bridge could have been a perfect way to infuse a gorgeous climax to song in the form of Bom’s line just before the last chorus but it was cut short. 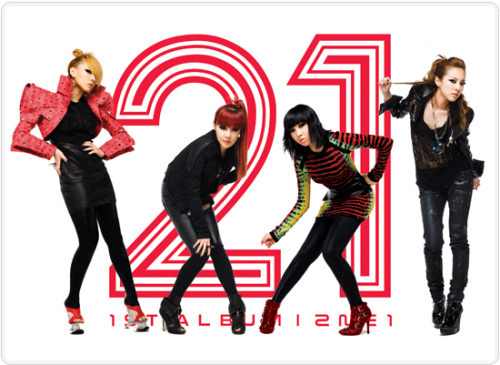 I had a dilemma on whether I should review 2NE1’s new single I am the Best. You see, it took me more time then usual to digest the song. If it weren’t for the awesome SBS Inkigayo live performance, it would probably take days before I listen to the song again. I chose to review the song after the live performance video and MV came out because I was hoping they would change my perception of the song. Thankfully, they did. Now, I’ll talk about the song first. The moment I heard the intro, I knew it would be something of the likes of Can’t Nobody: hectic and very electronic. Thankfully, Teddy chose to minimize the use of autotune this time. Like I said in my previous reviews, 2NE1 can sound hip hop or electronic even without the use of autotune. The music itself is already infused with electronic sounds that the vocals should not be treated anymore. I had no qualms with all the instruments infused in this song. They are needed to build the atmosphere that the song was trying to establish: energetic, funky, and edgy. Vocal wise, 2NE1 also delivered. Parts were interchanged comfortably. The recorded version did not sound boring. Sadly, the downside of the song is its structure and lyrics. The lyrics are catchy but when you analyze it carefully, they are just a bunch of repeating phrases. This also translated to the melody. The song lacks a decent chorus and bridge. Sadly again, one of the things I hate about a song is using a single phrase for the entire chorus. For that, it’s worse than Can’t Nobody and I’m Busy. Note that I’m Busy is currently my least favorite 2NE1 song. The first seven days of June is already over and guess what? I am having a blast! And it seems the blast will not stop there. I bet there is more to come! One my penchant in life is Korea: movies, government, economy, dramas, music.. Name it. I have a particular bias for YG Family so when I learned that 2NE1 is coming to the Philippines, I and some friends immediately grabbed tickets for the concert. 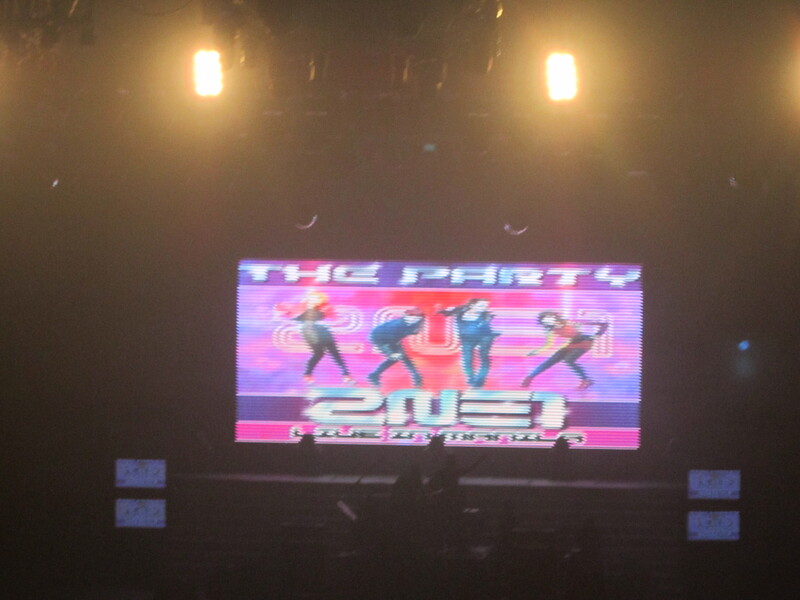 The “mini” concert finally took place last Saturday, June 4. I had one hell of a time! 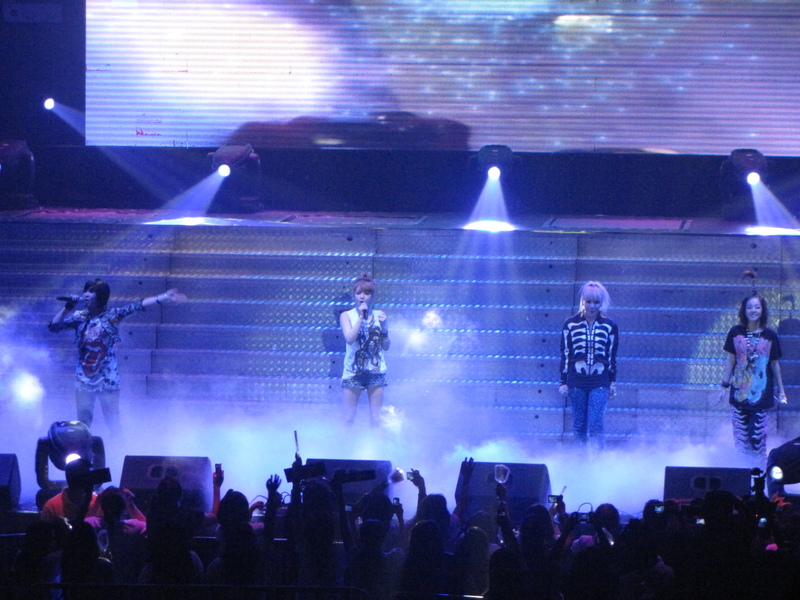 It was first time attending a Kpop concert and it was also my first time at the Big Dome. LOL. I was definitely insane while they were singing. Strings. This song is all about strings and I’m loving it. Lonely is an excellent addition to 2NE1’s growing resume. While many of us know that YG has the ability to produce a song of such quality and subtlety, the simple of use of stings still surprised me and it’s very refreshing to the ears. 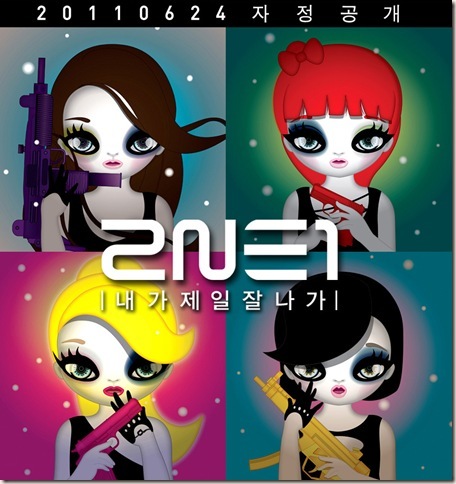 I already know 2NE1 can pull off mellow songs excellently: In the Club, It Hurts, Love is Ouch. But one aspect that made Lonely stand out is the absence of percussion instruments, synthesizers and minimal treatment of the vocals. Whoever composed and arranged the music, I so love you. I like how the music started with a simple guitar plucking then transitioned into strumming. It builds tension and anticipation for the chorus. The use of violin in the chorus made me grin from ear to ear. I love the music that violins create and I think violin music is one the most gorgeous sound you can infuse to a song. If you pay close detail to the song, at the part where Minzy and Bom sing “I’m so lonely…lonely..”, there are actually two violins playing. I loved it. They created a perfect harmonization. I wish 2NE1 can do the same. Park Bom’s new single has been out for a while and I decided to do a review. First thing that came to my mind when YG announced that Bom will jumpstart the comeback of 2NE1 was “Why her?”, when CL and Minzy are more versatile vocally. But then I remembered that of the three singles released last year, Bom’s You and I was the most succesful. So I don’t know if it’s a matter of potential commercial success or seniority since we all know Bom is the oldest member of 2nE1. I listened to the song before watching the MV because sometimes MVs have a different effect on my appreciation for or a song. Production wise, the song is very clean. It has a gorgeous piano introduction and loop. I also love the subtlety in the refrain part and how it builds the chorus. The music for the refrain and the bridge has also been produced perfectly for Bom’s voice and range since I am aware that she is not really capable of holding a falsetto because her voice is very powerful. I’ve never been a fan of the humongous instruments that YG seems to put in its songs, but I can forgive them this time since I like the song in general. Had Teddy stuck to the piano alone, the song would have been very subtle. The snares added some umpf and makes it more lively and danceable. I also hope YG could experiment with Bom and also Minzy with the likes of Taeyang’s material. I think it would suit them well. Vocally, Bom is very capable of holding a song on her own. I also think her ability as a singer can be better appreciated in Don’t Cry rather in You and I. I like both songs but as I have mentioned before I prefer her singing in her lower range. In You and I, you can hear her difficulty in breathing even in the recorded version and it seems her range have been stretched out. One thing I love about Bom’s voice is its color and power, and I think it has been clearly showcased in this song, though not to the level of We Belong Together. This is also one of the few times that they actually considered making her sing in falsetto. You can here it for a few seconds in the refrain and I like it. She needs to develop her technique on that aspect.